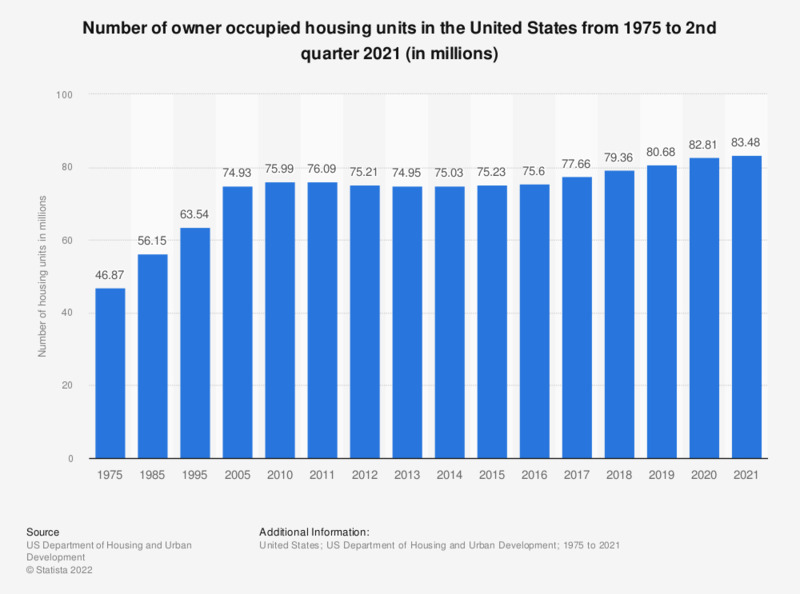 The statistic presents the number of housing units occupied by owner in the United States from 1975 to 2018. In 2018, there were approximately 79.36 million owner-occupied housing units in the United States. Data for previous years taken from previous reports. Data as of Q4 each year.